The Rikkon SVM 69 dual line systems are heavy duty motorized grease pumps that can be used in any kind of large machines or process plants. 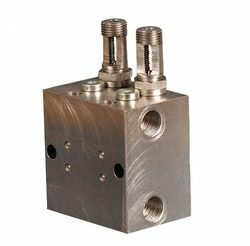 Our range of dual line systems includes dual line distributors, mono block dual line distributors, grease injectors, high pressure grease injectors, oil injectors, low pressure oil injectors etc. Line change Over valve used in Dual Line Centralised grease lubrication system. The Pumping unit assembled with the Duoluberr has an ablity to deliver the lubricants to the greasing point at the rate of 4 KG per hous. 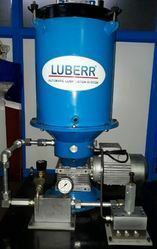 This make the sufficient lubrication to the greasing point and ensures the durablity of the machine Duoluberr's effieciency is improved and maintained with the LCP-107 controller. It controls the Duoluberr pump with the electrical connection. This makes the pump more simple, reliable and to use optimum resource and saves the wastage of grease and cost. The dual line distributors have adjustable output. They have operating pressure of max. 300 bar and min. 30 bar. The output can be adjusted as per requirement with the help of external output volume adjuster. Available in customized form, our feeders have a lubricant output of 2.25 cc per outlet per cycle. The adjusted also acts like a visual indica for to know the correct working of the distributor. The Rikkon SVM 69 dual line pumps/motorized grease pumps are heavy duty motorized grease pumps that can be used in any kind of large machines or process plants. 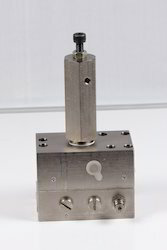 These are positive displacement grease pump operating with help of a can which is connected to the motor output shaft. These pumps can handle grease up to NLGI-3. These pumps can be to lubricate large system having greasing points upto 500 points. These are available in 3 different outputs and 2 standard reservoir capacities. Looking for Dual Line Systems ?